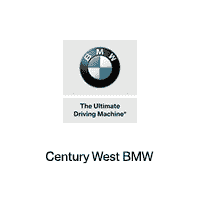 If you’ve gotten into an accident and your BMW needs some serious body work near Glendale, then bring it into Century West BMW. We pride ourselves on our quick and helpful BMW service and that includes big body shop jobs. Don’t hesitate to bring your BMW in for bodywork; you want your luxury car looking as good as it can, don’t you? We have BMW M Certified Technicians working at Century West BMW, so you know you’re getting proven expertise with some of the most impressive vehicles on the market. Whether you’re looking for some bumper work, windshield repair, dent removals, or paint matching, we can help you at our BMW Body Shop near Los Angeles. Beverly Hills drivers know our BMW Service Center for our quick turnaround, friendly staff, and high-quality work. Get to know our staff firsthand and schedule service near Glendale with our convenient online tool. We do everything from regular maintenance to serious repairs, so no matter what’s wrong one of our BMW M Certified Technicians can help get you back on the road. We only use authentic BMW parts for our maintenance and repairs, so you can be confident that we’ll find you the right part. Our BMW Parts Center sources everything we use in our repairs, but we can also order parts that you need for a personal project. You should never use aftermarket parts, as they are not optimized to work with your bodywork, whether you need body work, regular maintenance, or BMW parts, you can find everything you’re looking for at Century West BMW. Our BMW M Certified Technicians near West Hollywood are here to help you keep your luxury car or SUV in top condition.